The International Organization for Migration (IOM) said on January 29 that it estimates that 55 528 migrants and refugees crossed the Mediterranean to enter Europe during the first 28 days of 2016 – a rate of nearly 2000 a day. The daily average is nearly equivalent to the total numbers for the month of January as recently as two years ago. During the same period IOM has recorded about 244 deaths at sea, as well as at least a dozen more deaths of migrants and refugees who died either after reaching Europe or traveling to a launch point in Turkey. By comparison, total deaths on Mediterranean Sea routes were 12 in 2014 and 82 last year. Arrivals in Greece between January 1 and 27 added up to 52 055, IOM said. The latest deaths were recorded on January 27 and 28. Seven migrants died on January 27 off the Greek island of Kos and a further 26 (10 men, six women, 10 children) on January 28 off Samos, following shipwrecks. They included 15 children. IOM believes more victims are missing. The 218 deaths on the so-called Eastern Mediterranean route linking Turkey to Greece through the first four weeks of January 2016 are almost four times those recorded on that route last year through mid-August. During the whole of 2015, about 805 migrants and refugees died in these waters. Despite winter weather conditions and the strong winds of the past few days, an estimated 52 055 migrants and refugees have arrived in the Greek islands since the beginning of the year. This is close to the total recorded in the relatively “safe” month of July 2015, when warm weather and calm seas allowed 54 899 to make the journey. 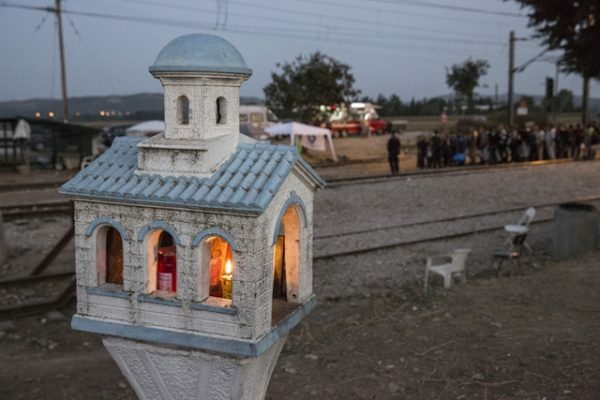 IOM earlier this week said that a survey of migrants and refugees arriving in Greece revealed that 90 per cent were from Syria, Iraq or Afghanistan, which would allow them to leave Greece and enter the Republic of Macedonia en route to Western Europe as asylum seekers. But the Idomeni border crossing from Greece to Macedonia remained closed from midday to midnight on Wednesday. Republic of Macedonia officials blamed congestion at the country’s border with Serbia. Arrivals in Italy between January 1 and 28 were estimated by IOM to add up to 3473. More than 1700 migrants have been brought ashore since Monday. Rescue operations at sea were still ongoing on January 28; migrants and refugees were continuing to be brought to Sicilian ports through Thursday evening. Six drownings were reported Thursday off Sicily.